Travel allows us to discover new sides of ourselves and make impactful connections. On her Food & Wine: Northern Italy & the Italian Riviera tour, Copywriter Jamie tapped into her heritage and immersed herself in Bologna’s culture, history and traditions. Here, she shares her story of uncovering her family roots in this medieval city. My Italian heritage has always been an important part of my life. Some of my earliest memories involve boisterous family gatherings at my grandparents’ house, where big pots of sauce simmered on the stove and we all talked, laughed and ate as we reveled in the most important thing: famiglia. I also remember stories my papa, Frank, told me about his own grandparents making homemade wine and handmade pasta for similar family gatherings. They were from northern Italy—Bologna and Genoa, to be exact—and continued to honor their traditions when they came to America from the Old Country. I’ve held on to these stories, and my heart has always been filled with pride for my Italian roots. So, when I got the opportunity to visit Bologna on tour, I jumped at the chance to trace my heritage back to its source. 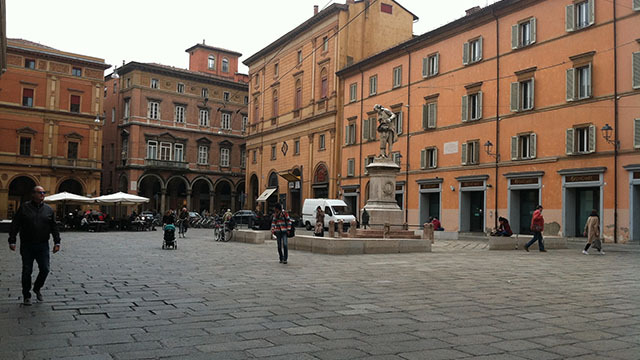 Maybe it’s because I’ve grown up with such a strong connection to my Italian ancestry, but Bologna felt familiar the moment I arrived. The historic city is beautifully laced with striking medieval architecture shaded in rich hues of orange and red, as well as miles of covered walkways, known as porticoes, which are recognized as a potential UNESCO inclusion. It was also buzzing with life, and I discovered that my visit coincided with one of Bologna’s most important festivals: the Feast Day of San Petronio. 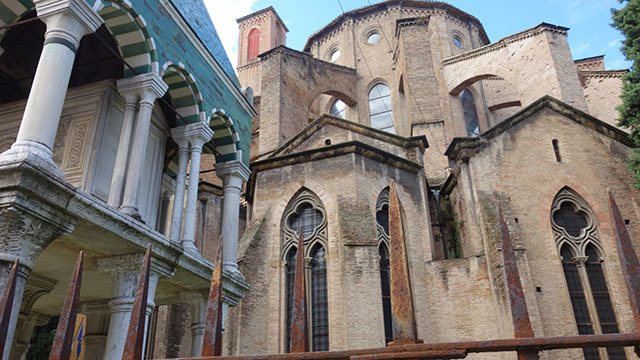 This annual celebration honors Bologna’s patron saint, and my tour group and I started our orientation of the city at the fifth-century bishop’s eponymous basilica. The unfinished facade of the Gothic Basilica of San Petronio didn’t do justice to the grand interior, which was lined with soaring columns and stunning stained glass windows. It’s a place where people have prayed for centuries, and I imagined my ancestors there, paying reverence to their city’s saint. Next, we learned more about Bologna’s academic legacy during a visit to the 12th-century University of Bologna. The walls are covered with gilded coats of arms displaying the names of students who once studied there. It was amazing to walk through the halls, looking to see if my last name was painted on any of the crests. Bologna is also famous for its impressive food tradition, and boasts a hearty cuisine typical of the Emilia-Romagna region. 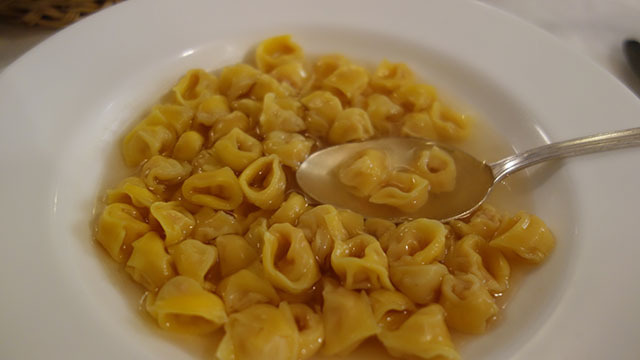 During an on-tour cooking demonstration at a local farm, I learned how to make the meat sauce known as ragù alla Bolognese, as well as tortelloni filled with cheese and mortadella. I thought back to stories my papa told about his own mother making this stuffed pasta for months leading up to the holidays, and making it myself made me feel connected to my heritage. I also made it a point to seek out the best of the city’s cuisine during my free time. I found myself at Drogheria della Rosa, where the food—and unique décor—captured my imagination. The restaurant’s amiable owner, Emanuele, chose my main course: A filet topped with a sauce made from the region’s famous balsamic vinegar, Aceto Balsamico Tradizionale di Modena, ​washed down with a glass of red Bolgheri wine. Emanuele poured himself a glass and touched it to the table before he clinked it to mine to cheers, explaining that this was a way to honor our grandfathers who made the wine. In my quest to discover family heritage in Italy, this sentiment was more than fitting. While Bologna was beautiful and fascinating during the day, it really lit up with San Petronio festivities during the evening. I joined throngs of merrymakers as performers sang and danced on the steps of the Basilica of San Petronio. 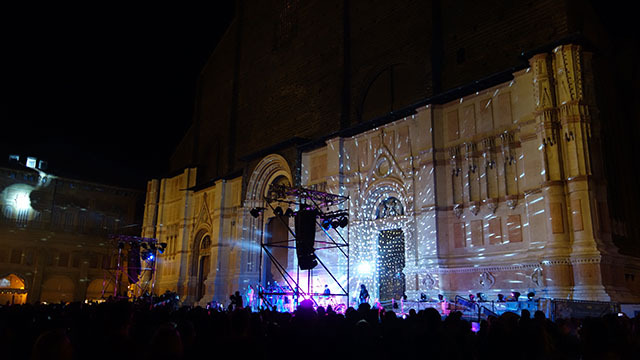 It was amazing to see this historic square filled with revelers, alive with music, illuminated by disco ball light, as everyone came together to celebrate the city’s patron saint—as my Tour Director put it, it was a perfect mix of sacred and profane. Our last night in Bologna was marked by the closing Feast Day ceremonies, complete with a breathtaking fireworks display over Piazza Maggiore. I watched in awe, feeling very much a part of this citywide observance and wondering how my forefathers had commemorated it in the past. It was a surreal experience to step back in time, take part in such an important celebration and walk in the footsteps of my ancestors. From marveling at historic landmarks to sharing in time-honored traditions, I felt I was home. Have you ever thought about tracing your family’s heritage? Learn how you can create a customized heritage tour, and tell us where you hope to go in the comments below!